Frank Lloyd Wright® was a master at capturing the essence of something with geometric shapes, often working with smaller and larger elements in one design. 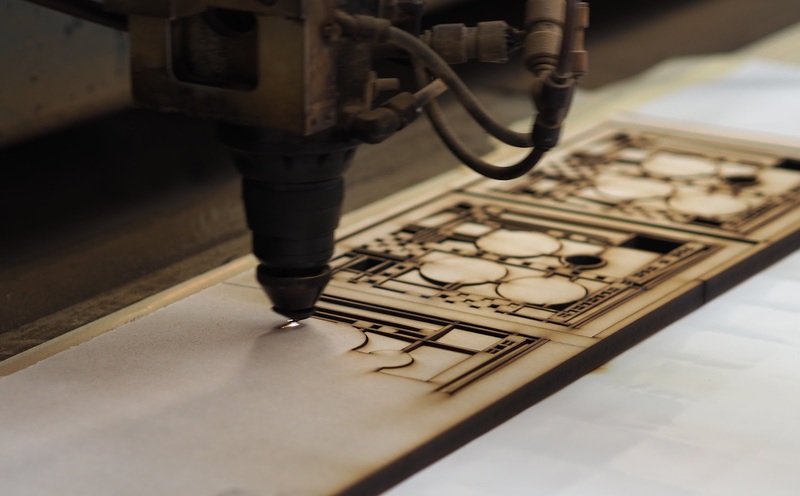 Laser cutting is an ideal process to create intricate, detailed cutouts that represent these iconic images. All items begin with the original Frank Lloyd Wright® drawings and photos of the completed pieces, such as art glass from windows. Artwork is created in the computer, based on these original drawings and photos. The artwork goes though a couple conversion steps, and is turned into a computer program telling the laser machine how to cut the pieces. The computer program tells the machine where to move the cutting head, and when to turn the laser on and off. All material is cut as flat sheets. 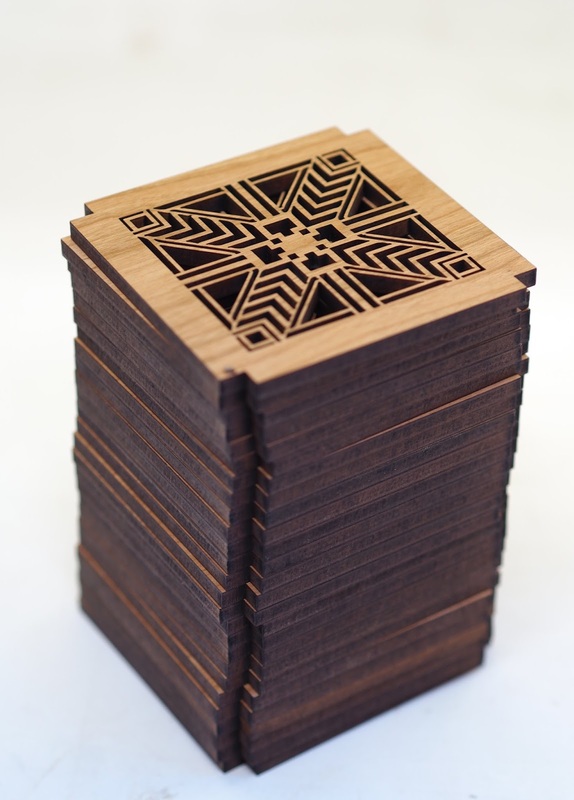 After laser cutting, the pieces are cleaned and assembled into products. 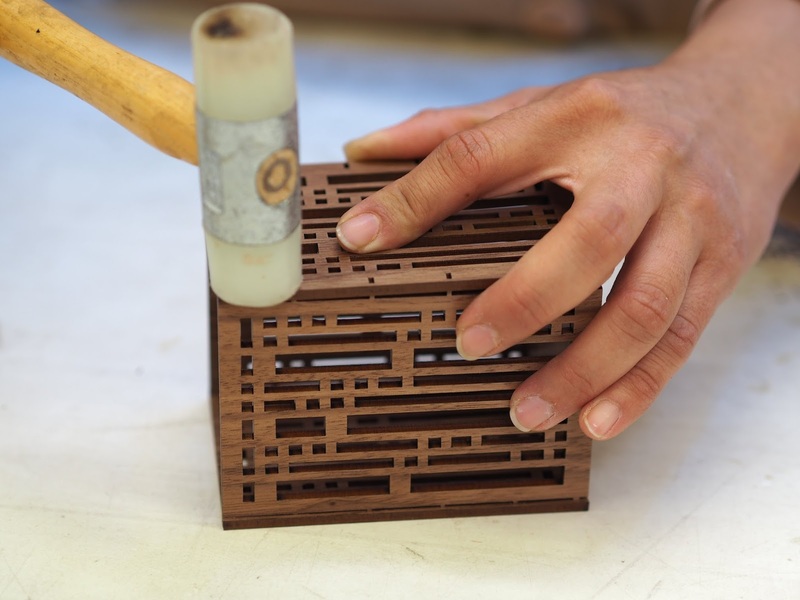 Some products such as wall art are fairly straightforward to assemble, but other products such as pen holders require much more skill and time to assemble. 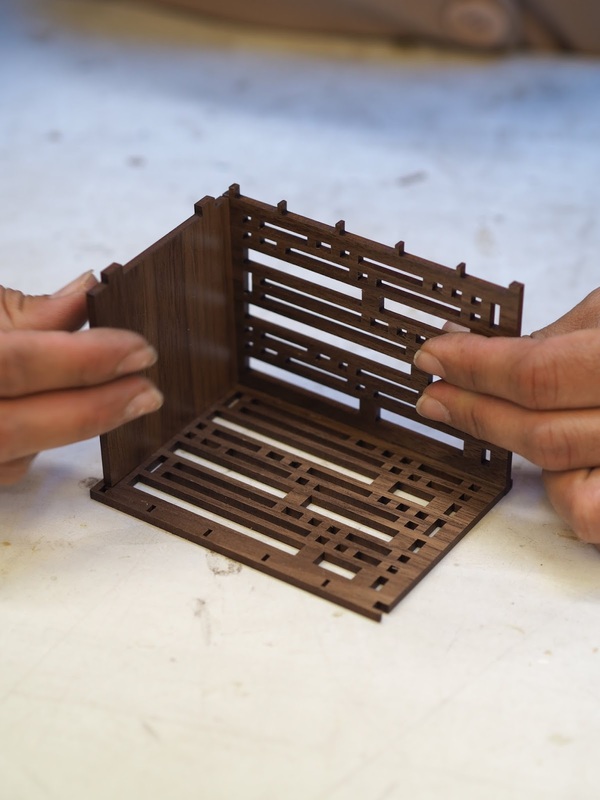 All laser cutting and manufacturing is done in Santa Rosa, California. Only domestically sourced veneers and MDF made from recycled lumber falldown from the Pacific Northwest and Canada are used. All wood is from managed, farmed trees. 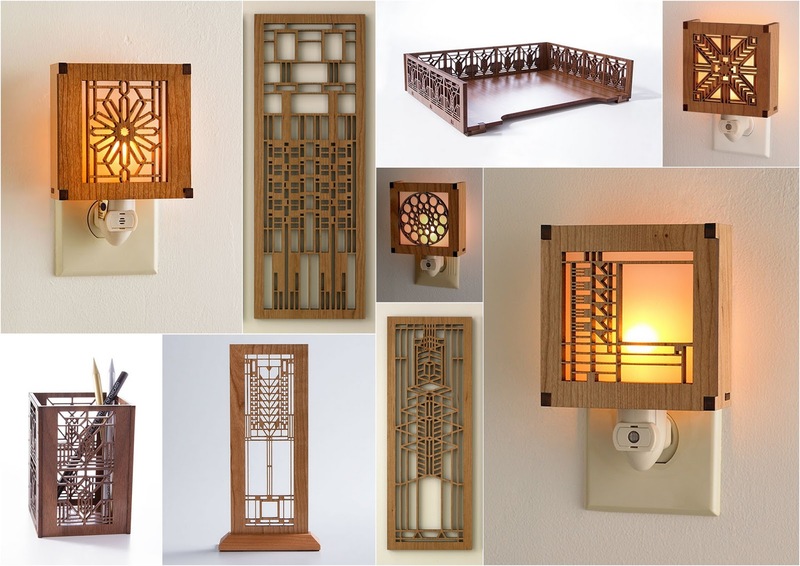 Click here to purchase one of these remarkable laser cut Frank Lloyd Wright® designs. 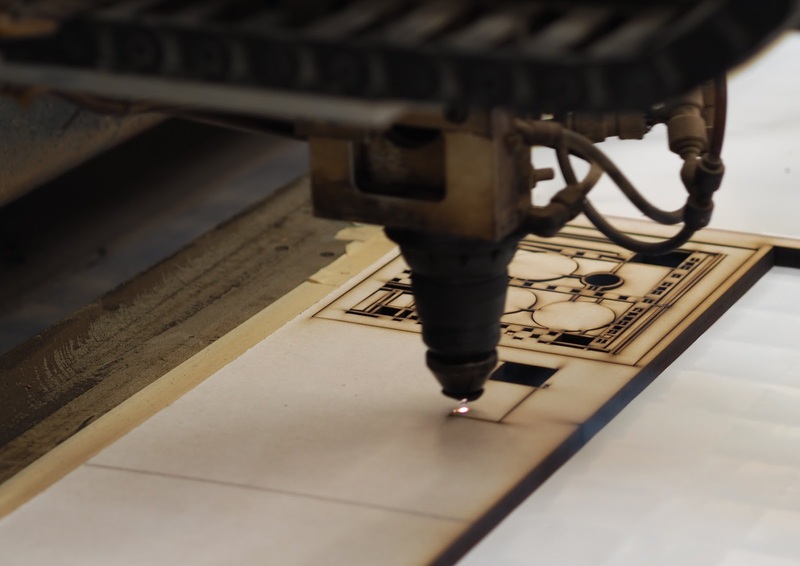 Laser cutting could be a trendy technology within which a high-powered optical device is directed at the specified surface to chop totally different shapes and forms.